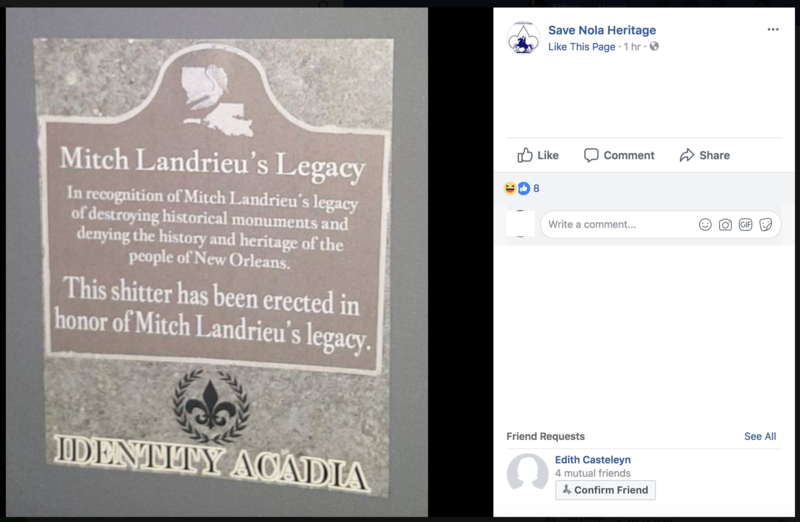 The local ‘monument defender’ social media sphere is a constant stream of hate speech, white supremacy, historical distortion, and violent threats directed at anyone that challenges the Lost Cause narrative. 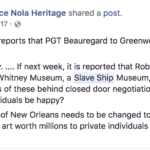 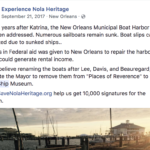 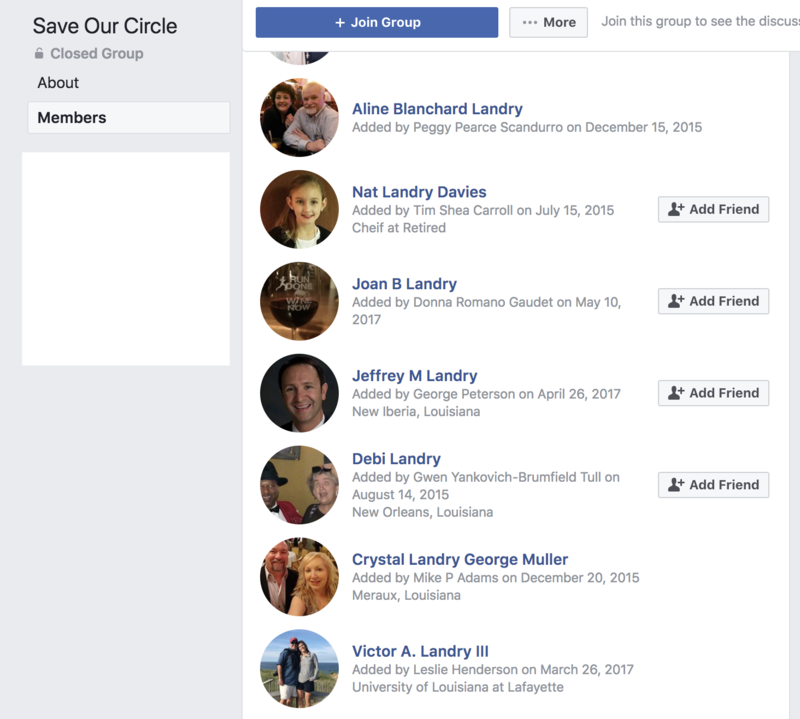 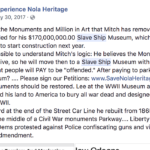 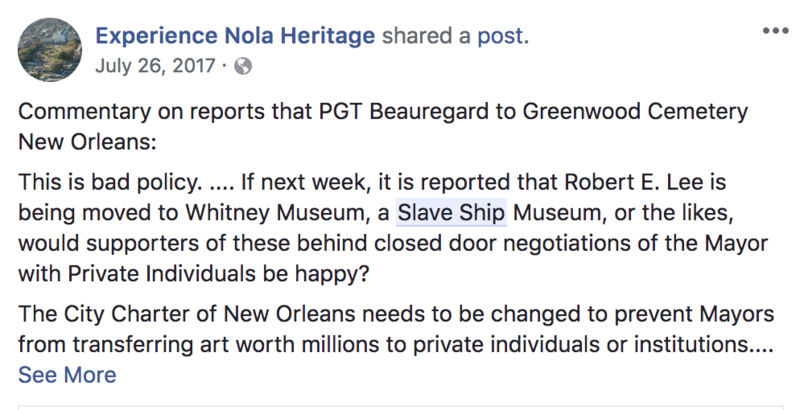 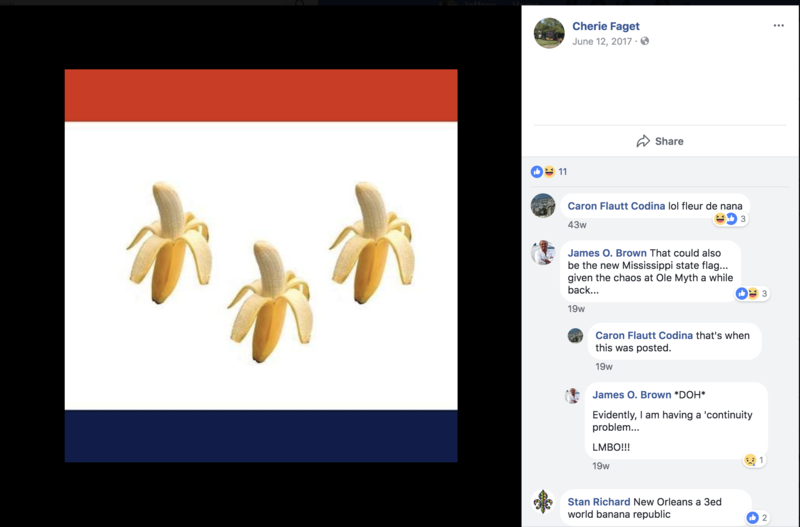 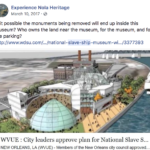 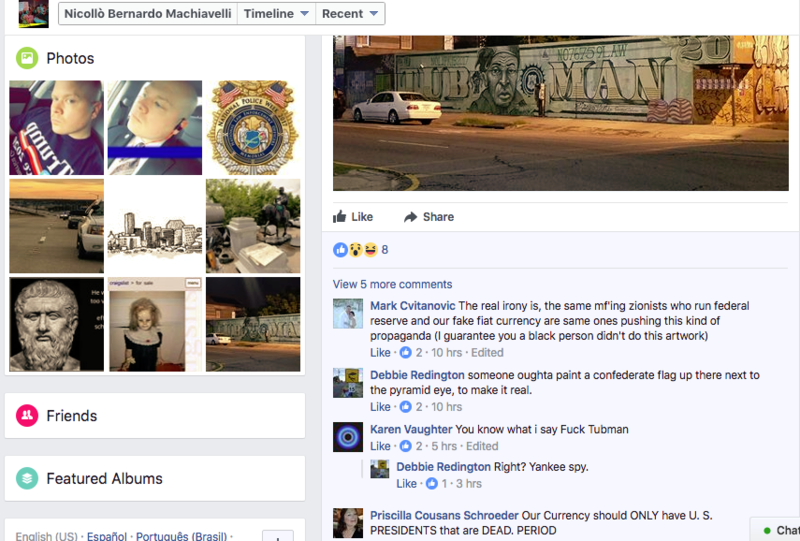 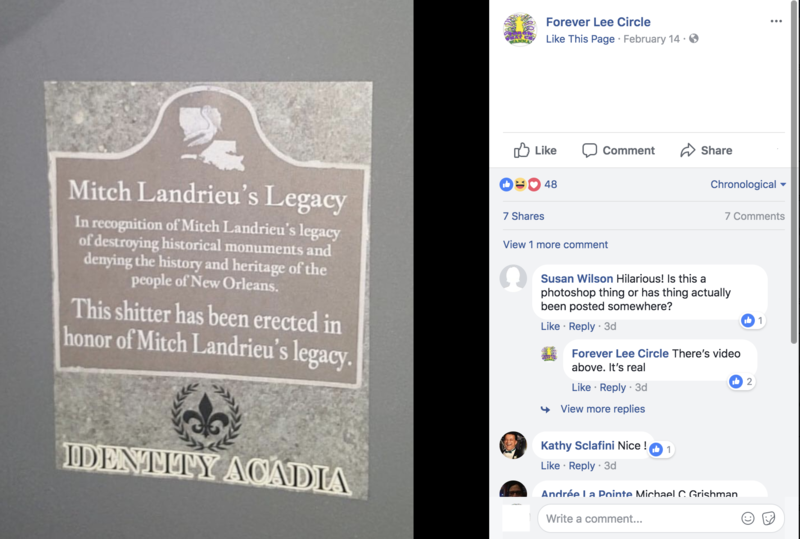 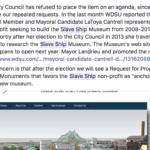 Until recently, this included Latoya Cantrell, as both committee members and their fellow monument supporters singled the then-councilmember out for online abuse. 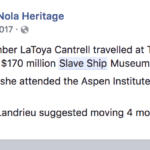 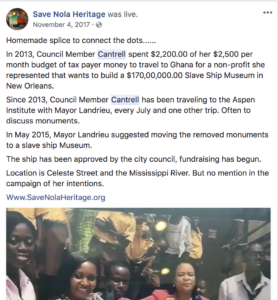 Committee member Charles Marsala spent months obsessed with Cantrell’s ties to a potential Slave Ship Museum, weaving a convoluted conspiracy theory involving alleged kickbacks, secret negotiations, and anti-Semitic accusations about the Aspen Institute and Walter Isaacson. 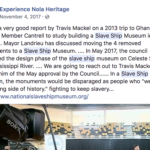 A selection of Marsala’s posts on the Slave Ship museum. 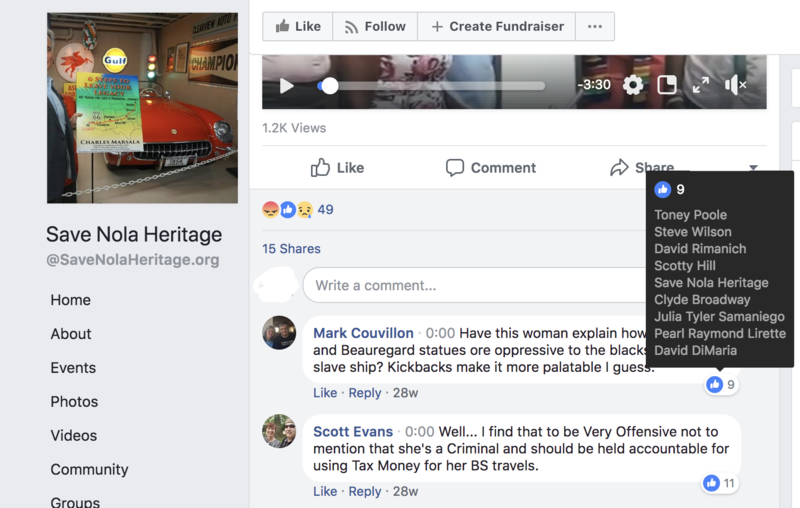 Mark Cvitanovic – who helped threaten local businesses during the monument debate – has an bottomless capacity to promote bigotry. 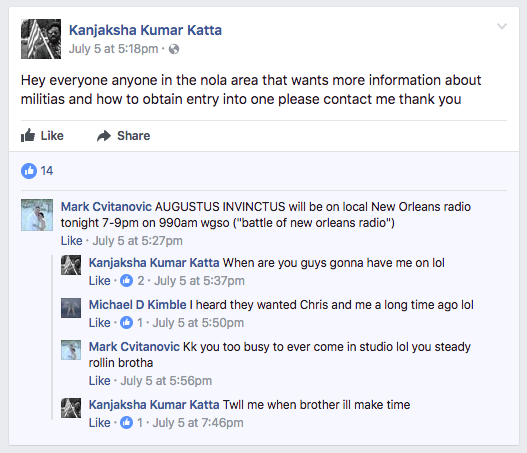 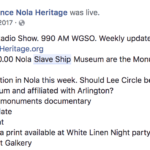 On his old show, Mark welcomed a host of white supremacists from David Duke to Charlottesville ‘Unite the Right’ headliner Augustus Invictus, spending hours telling his listeners that Walter Isaacson and other ‘Zionists’ controlled Latoya Cantrell and the levers of power in New Orleans.The idea that George Soros or Isaacson or the Aspen Institute or ‘globalists’ secretly control governments is a favorite of white supremacists and anti-Semites worldwide. 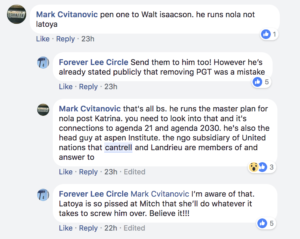 And yet committee members Marsala, Owens, and Marksbury have all promoted, supported, and agreed with Cvitanovic’s theories to their thousands of followers. 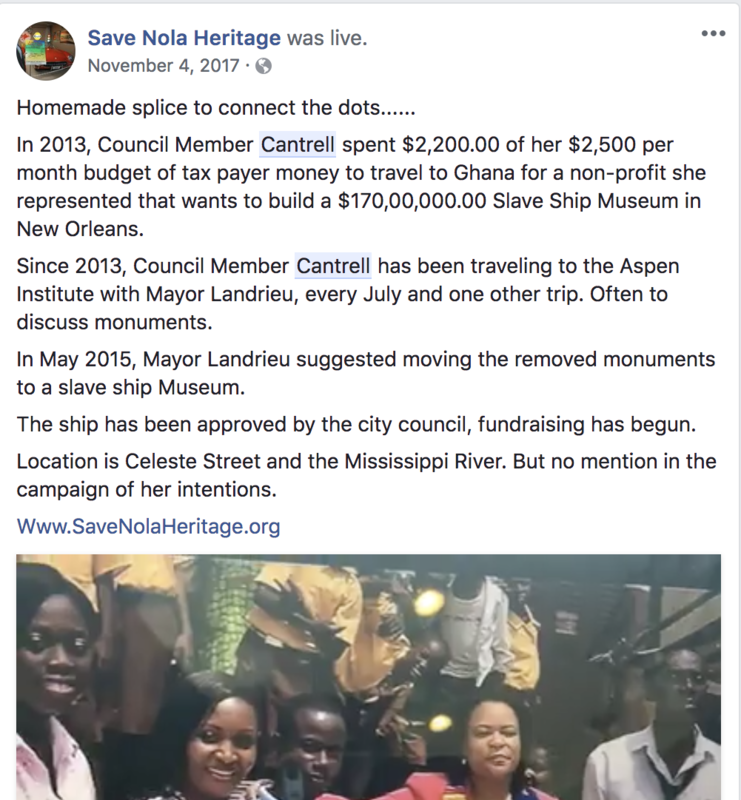 Also, Marsala repeatedly dogwhistled Cantrell’s California hometown, going out of his way to work in a Compton reference even after the election – ironically, perhaps, since the New Orleans-born Marsala was once himself a (controversial) mayor in California. 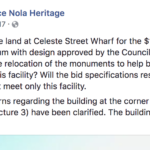 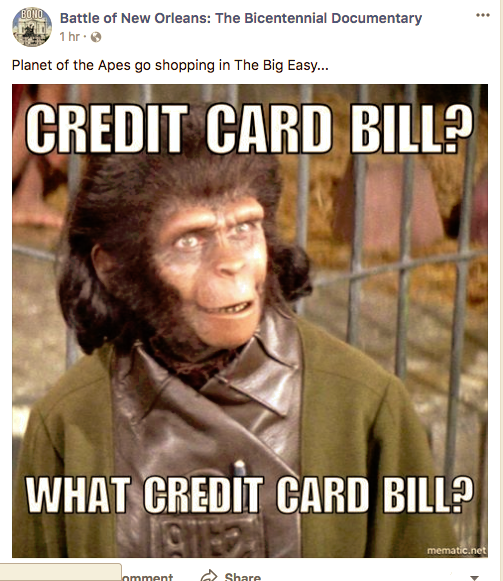 This is the ecosystem the Monument Transition Committee represents and encourages. 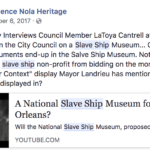 Why should we believe their motives are pure? 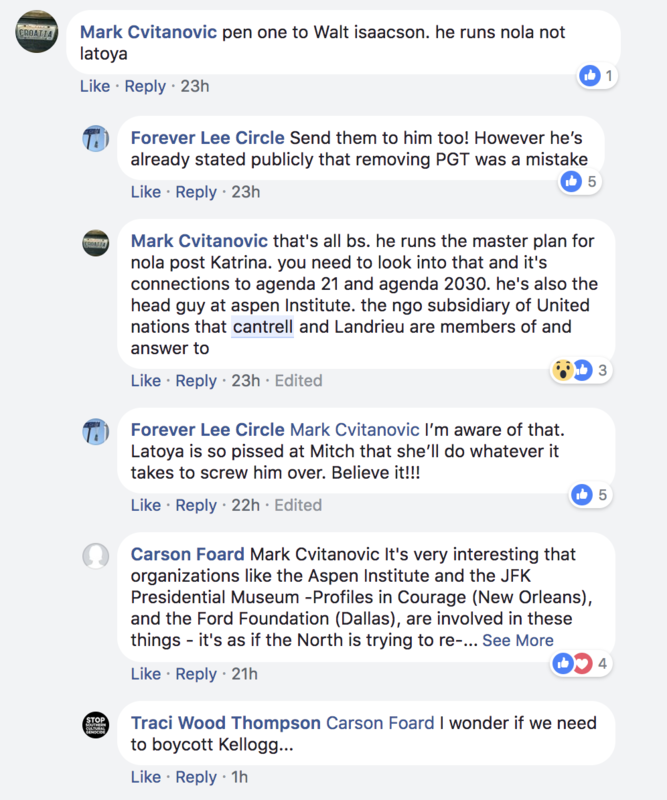 They aren’t – see Part Four.